Plot - A romantic fantasy movie inspired from the Disney’s 1950 animation film, Cinderella is an adaptation of the famous fairytale about a kind hearted girl who falls in love with a royal prince. Ella is a beautiful maiden who is kindhearted and loving but her stepmother and her stepsisters treats her badly. She runs away from the house and meets Kit, a royal prince, in the woods. They fall in love and promise each other to meet again. The king invites all maidens in his country to marry his son, Kit. Cinderella’s stepsisters ridicule her and leave her at home. An old fairy helps turn Ella into a beautiful princess. She goes to the royal ball and meets Kit and they have a beautiful dance together. 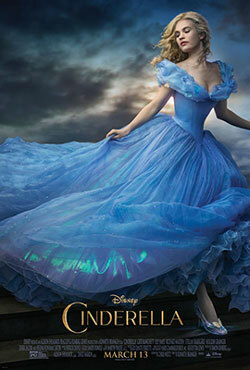 Awards & Nominations Won by "Cinderella Movie"
Box Office Earning of "Cinderella"